A classic bit of Italian motoring history, The Mighty Fiat 500! Celebrating it’s 60th birthday this year. 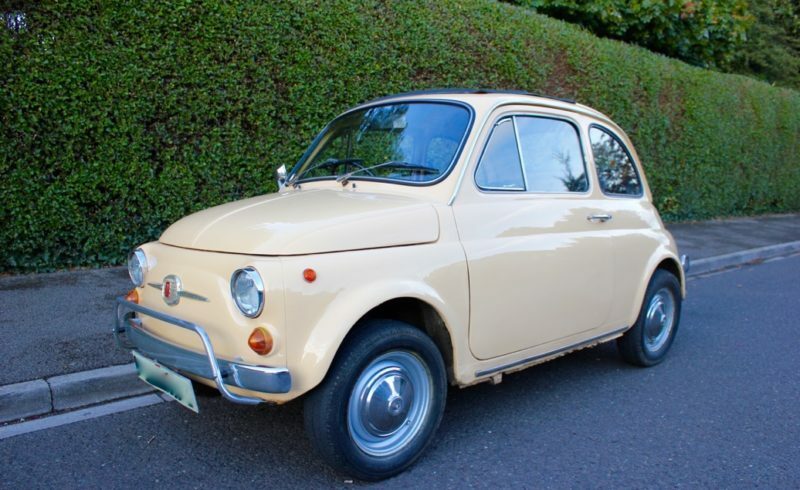 This lovely 500 has been well looked after in its 45 years on earth, Always garaged and kept in good condition. Very rare these days in Right hand drive. It has lots of service history and reciepts dating back to the early 80’s, so the mileage of 43k could well be correct. Very solid little car. Sadly it had a small incident with a bollard recently (hence the small damage to the front wing) it is priced accordingly. The brakes have recently been over hauled and rebuilt, she also benefits form a recent service. A fantastic little car with such huge charm, she gets looks everywhere she goes!